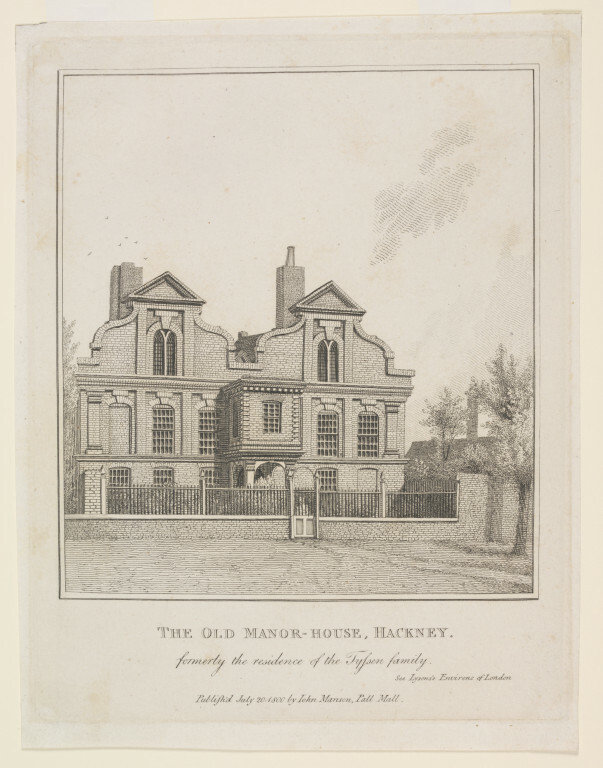 Print depicting a view of the front of Shacklewell House, Hackney. See Lyson's Environs of London. Published July 20, 1800 by Iohn Manson, Pall Mall. Shacklewell House was the manor house of the estate of Shacklewell. It was the residence of the Heron family in the 16th century,including Giles Heron who was married to Cecily, daughter of Sir Thomas More. After Giles' execution for treason, the house passed to the Rowes, and was sold by Henry Rowe in about 1700 to the Tyssen family. 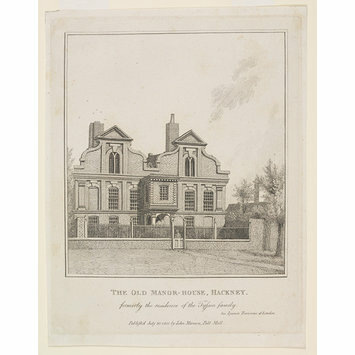 The house was pulled down in the late 18th century.